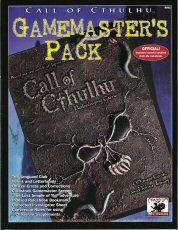 • A Full-color Gamemaster's Screen: All the vital charts and table s for running a d20 Call of Cthulhu game lurk behind a full color painting of Cthulhu itself. • 4 Index bookmarks: Hold your spot in four different areas of the d20 rulebook, and quickly look up relevant rules. • Dire Documents: A folio of fiendish forms, containing 16 forms for asylum Admittance records, blank police reports, dental records, and more ! • Complete Conversion System: Quickly and easily convert gods, monsters and investigators from classic Chaosium Call of Cthulhu products to the new d20 rules set! 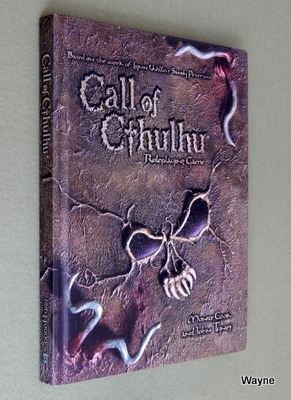 • Errata: Official corrections to the d20 Call Of Cthulhu rules. Including full statistics for Y'Golonac! • The Lost Temple of Yig: This thrilling adventure takes the investigators deep into the heart of the Amazon jungle. 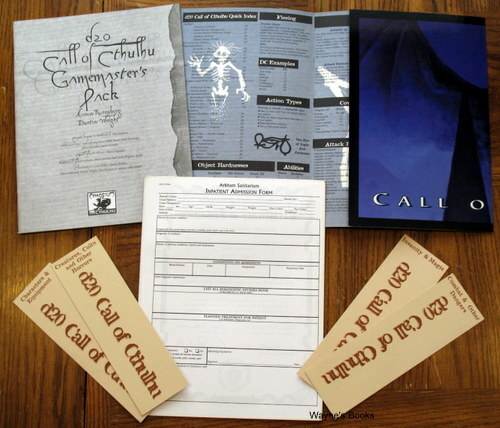 Dual stats are provided to use this scenario with either version of Call of Cthulhu!" "A conspiracy of destruction, a blast of ill will from an ancient god. A hunt and a chase from the heartland of Americal into the doom that awaits in the East. A horrific journey to the brink of insanity that lingers at the end of the world. 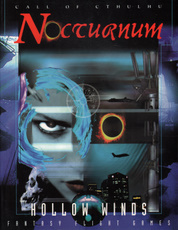 Nocturnum is an epic, modern-day campaign for d20 Call of Cthulhu. This horror epic introduces a terrifying new evil and an ancient conspiracy against humanity. Nocturnum is a mind-shattering journey through more than a dozen adventures complete with exstensive backgrounds, NPC, new monsters, and exotic locales. 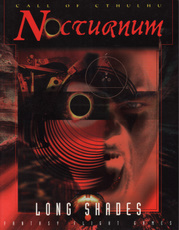 Can you survive...Nocturnum?" 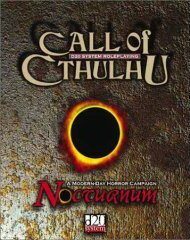 "The NOCTURNUM campaign introduces a new alien evil to your Call of Cthulhu game. LONG SHADES, the first book in this campaign, contains a wealth of background material on this malignant new force, as well as three complete adventures: Snowflake Valley, The Madness of The Twilight Queen and Stillness. Each highly-detailed adventure can be played as part of a longer campaign, or as a stand-alone adventure in your current campaign. 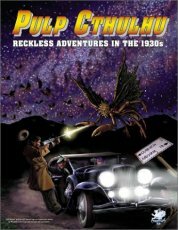 LONG SHADES is a postmodern campaign sourcebook for the Call of Cthulhu roleplaying game. The background and adventures detailed in LONG SHADES are also easily adaptable to most other horror roleplaying systems."